With a quirky romantic comedy and a gimmicky sci-fi premise, “Groundhog Day” managed to tap into universal, spiritual, larger than life questions. What kind of person do I want to be? What would I do with eternity? Do I have the capacity to change? But the creators of the classic 1993 film say that the Bill Murray comedy’s deeper themes and success feel almost accidental. If you were immortal and could live long enough, would you change? That was the question Rubin started with in imagining “Groundhog Day.” Suddenly he had an idea about something more than a man caught repeating the same day. When Rubin first met with director and co-screenwriter Harold Ramis, Ramis was fascinated by the film’s references to reincarnation and resurrection. It all came as a surprise to Rubin, and he looked to Ramis to help the script’s final draft find the warmth and humanistic qualities that have made it a classic. “Groundhog Day” producer Trevor Albert recalled getting a call from a Buddhist leader applauding them for making a film that embodied ideologies of regeneration. Some time later, he got a call from a Jewish organization that had embraced it as a perfect depiction of “mitzvah.” And these were hardly the only theories that have followed the film in the last 25 years. When we first meet Murray’s pompous weatherman Phil Connors, he already thinks of himself as a god. “I make the weather,” he says in the midst of a snowstorm blocking his way out of town. But he fears he has no future, he’s unaware of the world around him, and as he’s condemned to repeat the day becomes increasingly despondent. 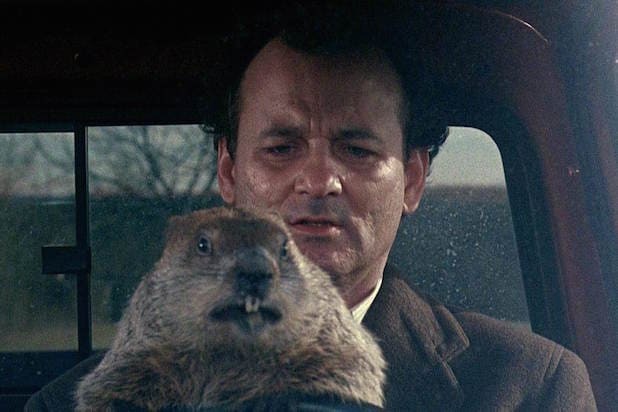 MacDowell said for a movie about kindness, it was Ramis’ spirit that influenced “Groundhog Day’s” charm. She described him as “the nicest man” she’s ever worked with, always in a good mood and never grumpy. And she hopes that kindness rubs off on anyone who watches “Groundhog Day,” even 25 years later. “Hopefully we do become more conscious of how we treat others and the affect we have every day, down to the point do we let the car go in, do we let a car pass us in Los Angeles, do we pick a fight, do we help an old lady cross the street? Are we conscious enough to make those decisions,” Macdowell said. It's Groundhog Day ... again. 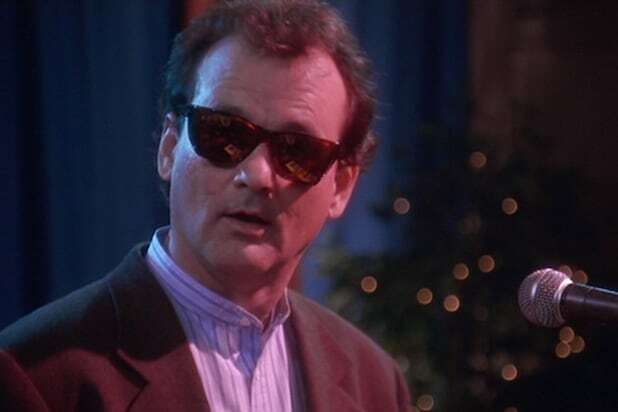 Of course, it wouldn't be a holiday without reminiscing about the 1993 Bill Murray-led rom-com classic. Its ingenious concept of imagining what a man would do if he was stuck living the same day over and over again has inspired filmmakers to experiment with this gimmick. You know you have something special when people describe your movie by saying, “It’s like ‘Groundhog Day’ crossed with X.” All of these movies have variations on the time loop storyline, though with all of the repetition, you may only want to watch them once. The short story on which “12:01” is based actually pre-dates “Groundhog Day” by nearly 20 years. It’s about a man caught reliving the worst day of his life when his wife is shot and killed. After receiving an electrical shock at midnight, he relives the previous day and finds that things get worse. Tom Tykwer’s action classic takes the time looping premise and turns it into a kinetic, real-time thrill ride. The title character Lola goes on a 20-minute dash as repeated several times, with each time depicting slight changes in the story that invoke ideas about parallel realities and moral choice. Leave it to Adam Sandler to make another rom-com aping a “Groundhog Day” premise. In this one, Drew Barrymore only thinks she’s living the same day over and over because she has an affliction in which she can’t remember the previous day, but it doesn't stop Sandler from trying to win her over. Short-term memory loss is a real thing, but not Barrymore’s specific affliction. One of the more creative indie time travel stories you’re likely to see, Shane Carruth’s lo-fi thriller is a densely plotted science fiction story about two entrepreneurial inventors who accidentally invent a device that allows them to travel back in time for a few hours at a time. Carruth keeps us in the dark as to what they’ve actually invented until well into the film, and it maintains its tension as it evolves into a character study of these two men trying to double cross the other. Jake Gyllenhaal wakes up in someone else’s body eight minutes before a terrorist attack blows up the train he’s riding on. It’s his job to use that time to find the terrorist and stop the attack. The movie’s first eight minutes are its best when he realizes that he’s living someone else’s final moments. Director Duncan Jones uses the sci-fi set up as a parable for the frustration of being used as a tool and the nature of free will within each alternate reality. This is one of Tom Cruise’s most underrated roles. We watch him die on an endless loop as he tries to learn how to win in a war against aliens, with each of his lives playing out like a video game in which he gains experience and gets closer to winning. But its charm comes from a sardonic sense of humor and Cruise’s relationship with a hard-nosed soldier played by Emily Blunt. In the end, she ends up killing him in training more times than the aliens do. It’s “Groundhog Day” with no clothes! Phil Connors at least didn’t have to relive the same humiliation Marlon Wayans does, where he wakes up naked hours before his wedding day and has to repeat things over and over until he gets things right. The film is actually a remake of a Swedish film from 2000. What if “Groundhog Day” was about a mean girl? Zoey Deutch stars as a San Francisco teen with a “perfect” high school life until she’s killed in a car accident. When she repeats the same day of her death, she starts to reassess her relationships and unravel the mystery around her accident. "Happy Death Day" is a horror movie about a woman played by Jessica Rothe who has to relive a murder at the hands of a killer in a baby face mask until she can outsmart him and survive. And following the success of that film, the sequel, "Happy Death Day 2U," winks at that premise by having Rothe's character dying all over again...again. And this time, both her and her friends are caught in this vicious death loop. Haven’t I seen this movie before?